Older adults, like everyone else, benefit from the development of modern-day inventions. 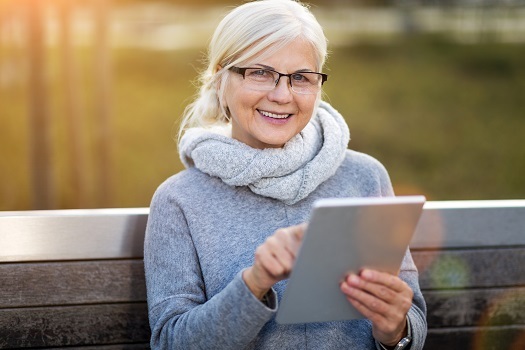 There are many different types of devices that enhance quality of life for seniors, many of which are used to increase safety or promote independence. Each year, 25 percent of adults over the age of 65 experience a fall. Hundreds of thousands of falls require hospitalization and medical intervention. A Philadelphia trauma surgeon worked with a technology developer to design this belt, which contains an airbag. The device weighs under two pounds, resembles a belted fanny pack, and is equipped with sensors. When an older adult begins falling, the belt releases the airbag to cushion the blow. The belt also sends an alert to caregivers. The increased risk of fall-related injuries and similar safety challenges can be mitigated when seniors have the assistance of a professional caregiver. Many older adults are choosing to age in place, and some need a helping hand to continue living at home safely and comfortably. Luckily, there is professional senior care Richardson seniors can trust and rely on. An artificial intelligence and robotics instructor created this device—a combination camera, virtual assistant, and robot. Jibo stands a mere 11 inches in height and weighs approximately five pounds, which makes it ideal to put on a desk or end table. When someone talks to the device, Jibo turns its face toward the talker. It responds to vocal commands and takes pictures and videos that can then be sent to loved ones. Mimicking human emotion, the unit can also keep an older adult company by telling stories and jokes. The device is equipped with artificial intelligence that enables it to learn the owner’s likes and needs. Hand tremors make eating and drinking difficult for older adults living with multiple sclerosis, Parkinson’s, and other neurological disorders. These utensils are designed to minimize the shaking and spasms that inhibit the ability to use traditional cutlery, and they include an enlarged battery-powered handle for easy gripping. The handle quickly attaches to a special fork, spoon, or soup spoon. Microprocessors and sensors in the handle counteract the motion of hand tremors and reduce shaking by up to 70 percent. The unit comes with a carrying pouch and a battery charger. The internal battery lasts for up to three days before needing recharging. Aids like these can be quite helpful for aging adults with conditions like Parkinson’s, but seniors with serious health conditions may also need assistance from a professional caregiver. Some seniors only require help with a few daily tasks so they can maintain their independence. However, those living with serious illnesses may need more extensive assistance. Luckily, there is professional live-in care Richardson, TX, seniors can rely on. Home can be a safer and more comfortable place for your loved one to live with the help of an expertly trained and dedicated live-in caregiver. Millions of older adults live with macular degeneration that disrupts the visual field. These smart glasses are designed to return the lost vision. The eyewear features a camera that rests on the bridge of the nose and transmits images to the glasses. Seniors can also adjust various settings using manual or vocal commands. This technology was created by engineers at MIT and is designed to allow seniors to experience stimulating events while relieving isolation. The innovation involves specially designed eyewear that may be used individually or by a group of older people led by a specified leader. The virtual reality device enables seniors to watch or take part in sports activities, attend educational classes, or travel to various destinations. In partnership with NASA, the developers incorporated a program that allows older adults to learn about outer space through virtual travel. Modern inventions like these can enhance quality of life, and so can having a compassionate caregiver close by. Seniors can face a variety of challenges as they age, many of which can be mitigated with the help of professional in-home caregivers who provide high-quality home care. Richardson families trust Home Care Assistance to help their elderly loved ones age in place safely and comfortably. Trust your loved one’s care to the professionals at Home Care Assistance. Reach out to one of our compassionate Care Managers today at (469) 573-4213.